Perfect humanity is not possible without perfect individuals. Therefore all Sri Chinmoy’s initiatives to individuals serves as basic for the betterment of humanity in global scale. Beside that there are few really global events promoting oneness, tolerance and understanding. In 1987 Sri Chinmoy founded Peace Run to advance the cause of world friendship and peace. 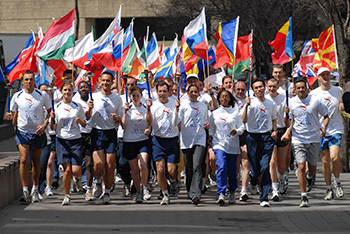 Since then on all continents, the Peace Run has fostered oneness among people of different cultures and beliefs. It has provided a uniquely effective vehicle for teaching the values of peace and oneness to children of all different cultures. 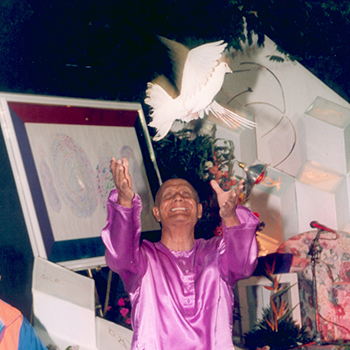 In 1984 Sri Chinmoy began to offer free Peace Concerts performing his own compositions, songs and poetry. 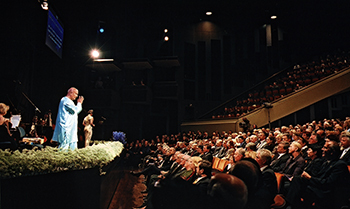 Millions of people experienced inner peace and uplifting during his peace-filled compositions in renowned halls as New York’s Lincoln Center and Carnegie Hall, London’s Royal Albert Hall, San Francisco’s Davies Hall and Tokyo’s Budokan Hall, as well as at many significant locations for peace, including at the United Nations, at Parliament Houses in Canada and Australia, at the Peace Parks in Hiroshima and Nagasaki. Sri Chinmoy Concert Tour 2005 - Part 1 from kedarvideo on Vimeo. 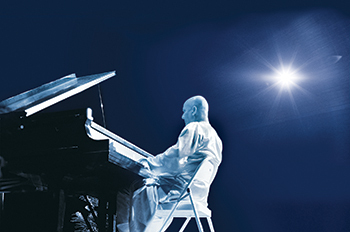 First Organ Improvisation by Sri Chinmoy from kedarvideo on Vimeo. Sri Chinmoy performs in Japan from kedarvideo on Vimeo.